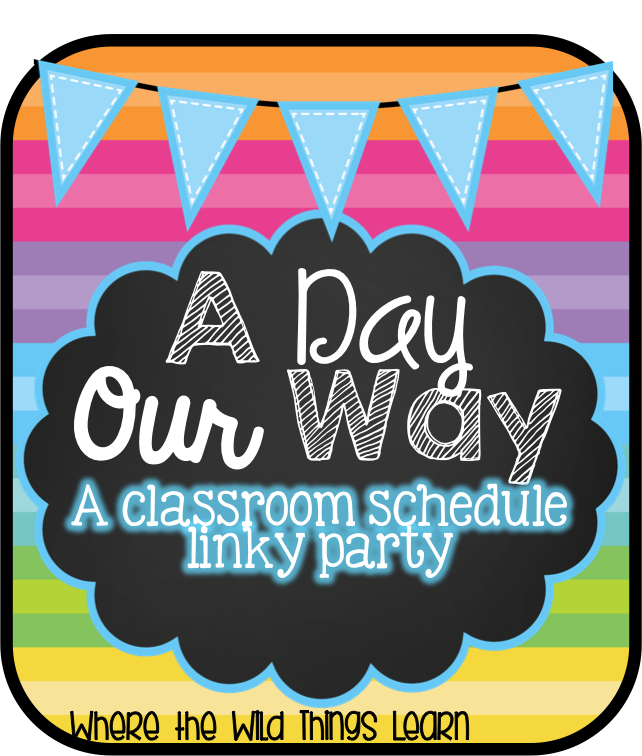 I'm linking up with Amelia from Where The Wild Things Learn to share my daily schedule. I told her I would join this the day she posted about it on Instagram, and I finallllly got the chance. I hope I get this up soon because my daughter is also trying to make me play with her stuffed cat at the moment. 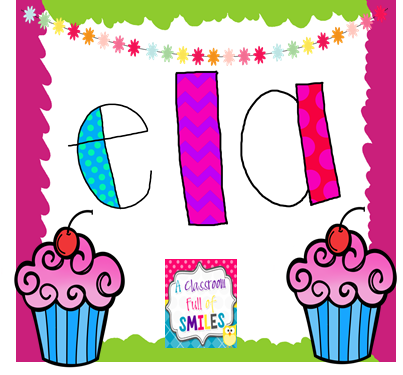 K-9 subjects and focus on the four main areas- E.L.A, Math, Science, and Social Studies. Our morning starts off with a 10 minute assembly conducted by our principal in the hallway. Right now our school is up to 9th grade. We add on a grade each year. It's still relatively small with a total of about 300 students from Pre-k through 9th. Afterwards, my first two periods are my E.L.A block. I have about 80 minutes to do EVERYTHING E.L.A related. 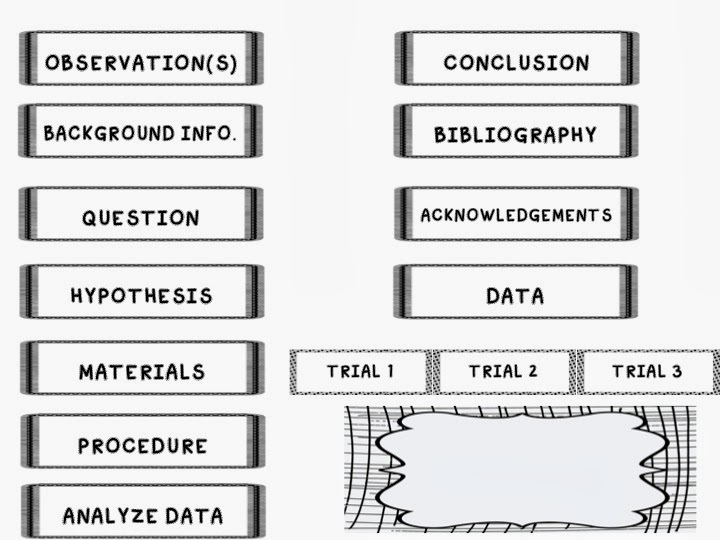 We use the Scott Foresman Reading Street Series, and I use that as a base to know the skills to hit each week. However, I very rarely go through the plans or activities that they suggest. 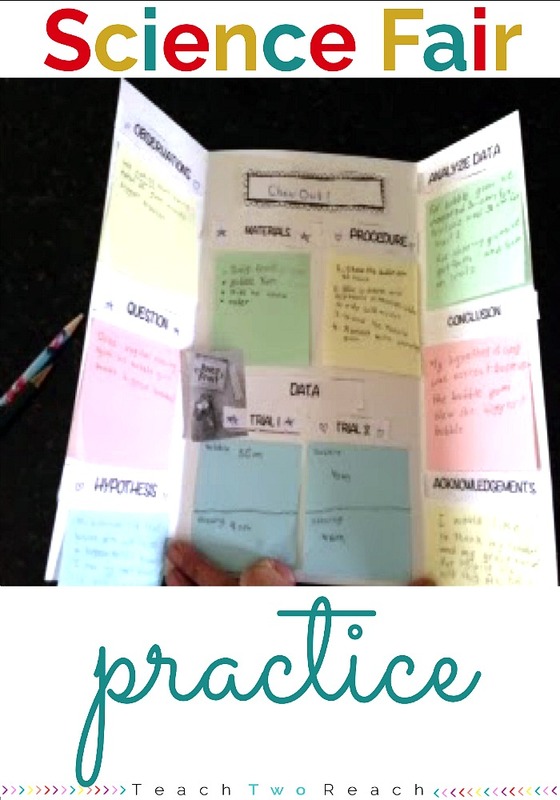 I see the targeted skills and gather my own resources to practice throughout the week. Let me tell you; trying to fit in modified daily 5, grammar, writing, spelling, etc...in 80 minutes a day with 27 students is TOUGH. It has taken a lot of trial and error to figure a method that works for me. Monday and Friday, we have a double math block right after E.L.A. For the other three days in the middle, another teacher comes in for the religious studies class. Students basically learn about the foundations and components of our religion in an engaging and interactive format. The teacher uses a lot of art projects to incorporate into the learning, so the kids really enjoy it. 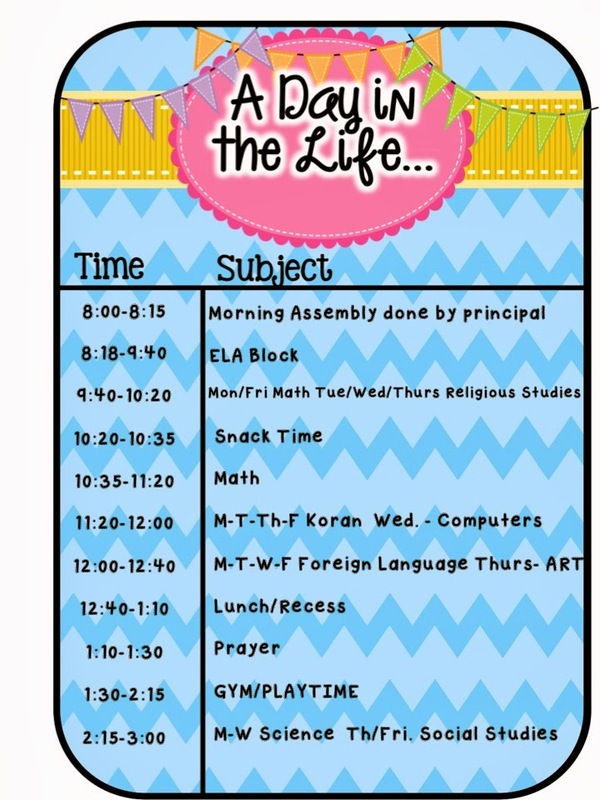 During my math periods, I teach a mini lesson on the skill for the day and then depending on how much time we have, we will do centers (usually on the double block day), textbook pages, math interactive notebooks, and/or a math craft project that teaches the skill. 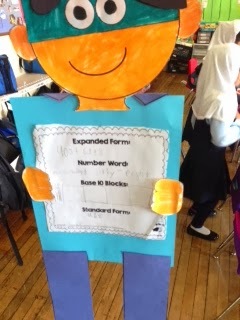 Write your name in base ten blocks and calculate the place value. when students have their other specials. I love having a double prep period then!! I usually go into the staff room with a bunch of work, but it is also a nice time to converse with the other teachers. I posted a picture on Instagram about what I found in my lunch box as I was cleaning it out this weekend. Sometimes I don't even have room in there to put my lunch! haha. 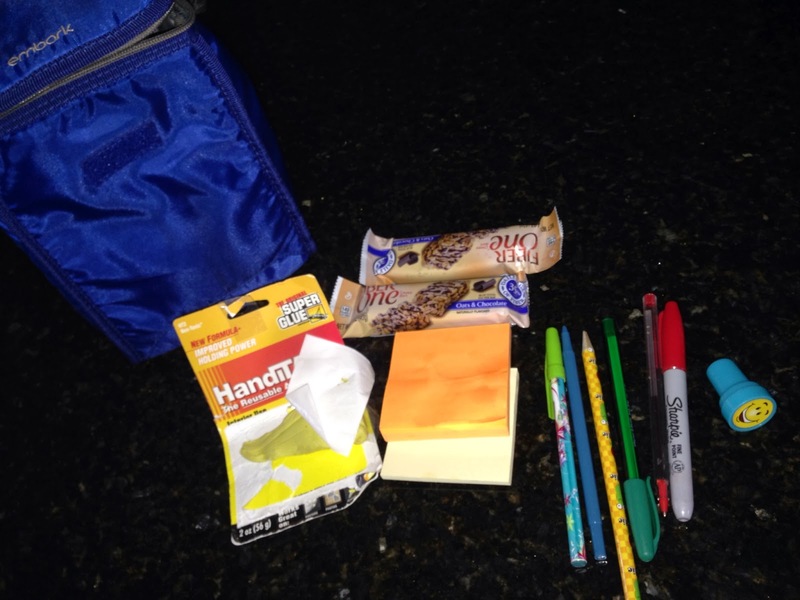 sticky tack, post it notes, variety of pens, stamps, and emergency granola bars to keep be going through the grading! 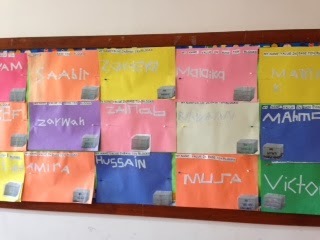 Afterwards, there is lunch and then prayer time where students from grade 2 and up go to do a daily prayer. In Islam, Muslims offer a prayer 5 times a day - each prayer has a time window. One of the prayers falls during school time and it is done in congregation. Next, we have gym or playtime. Gym is twice a week and the rest of the days, I can take them outside or have indoor playtime in the class. Oh, the indoor playtime days are hard! 27 kiddos in a medium sized room can conjure up quite the noise level. I can't wait for the weather to get better. 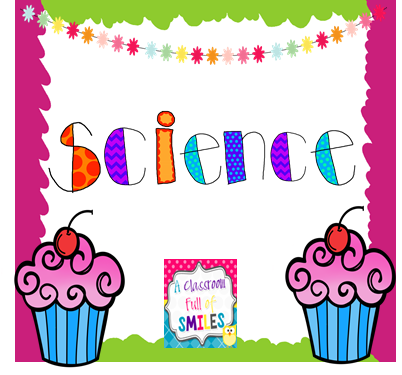 Last period is made up of Science 3 times a week, and S.S. two times. I try to add in E.L.A work and mix it into these subjects. Many times students will do collaborative group work and projects in these subjects. Interactive notebooks in here are a must. 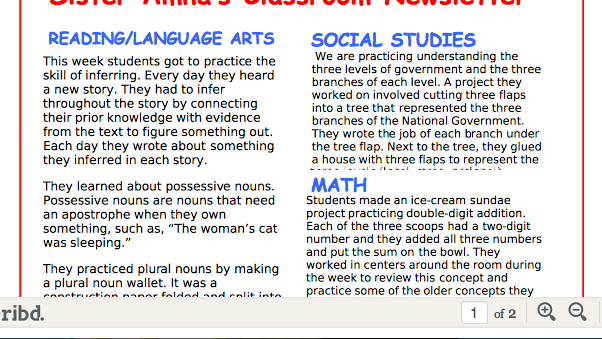 I just started them this year and love how they can be used to teach vocabulary and concepts in a much simpler format. I've gotten many of my interactive notebooks on TPT, but I also try to make simple flip flaps for on my own. 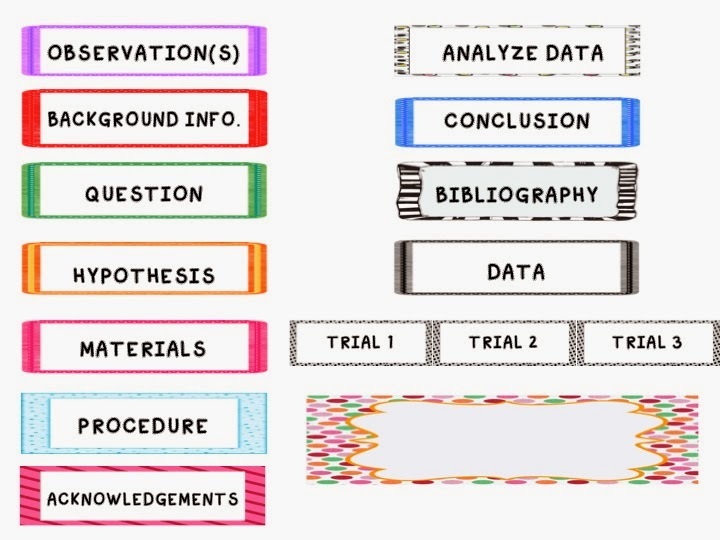 I have two free flip flap files up on TPT for Science and Social Studies. They are for levels of government and environment/habitats. You can visit my store here and check them out. 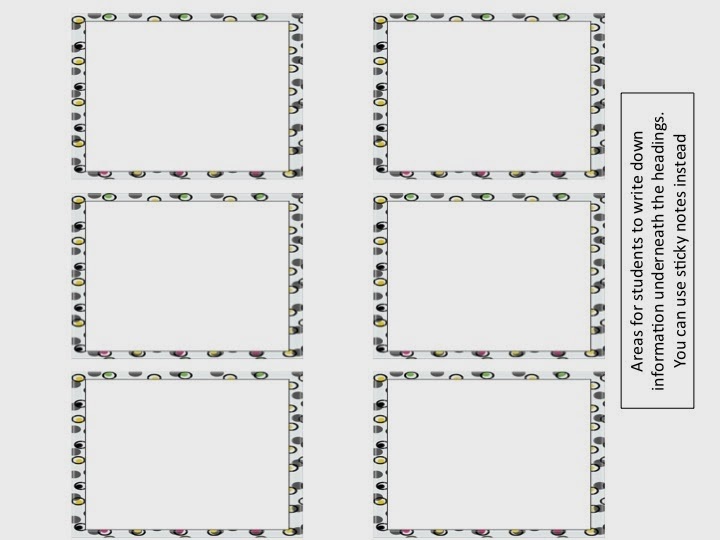 Below are not pictures of flip flaps, but of a picture for a web diagram to teach type of communities. That is also in my store. 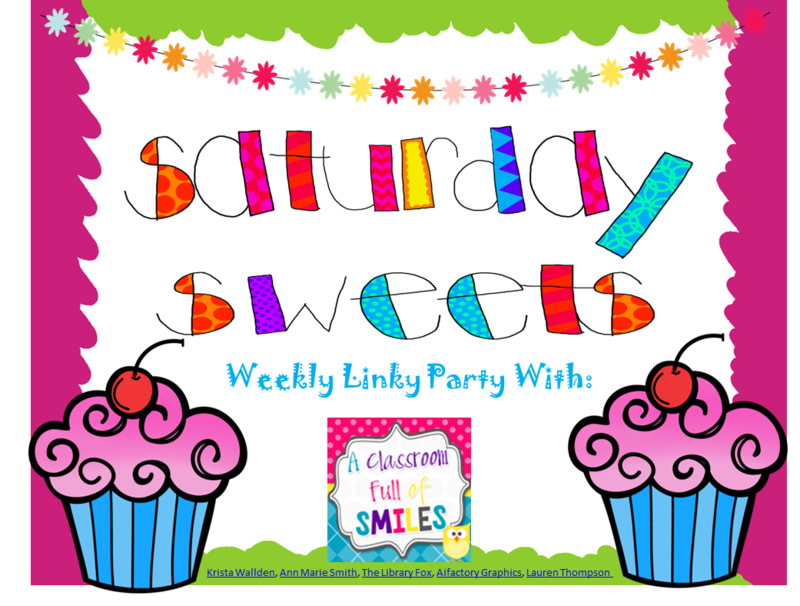 Remember to check out Amelia's original post if you want to link up! 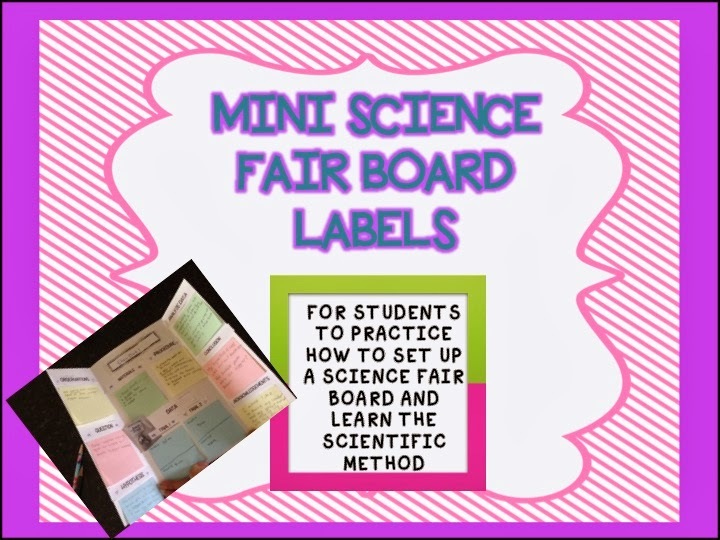 I thought I'd write a blogpost to share how I try to keep parents involved and knowledgeable about what goes on in the classroom. This year I've gotten involved with some new ways that supplement the regular communication methods I have in class. 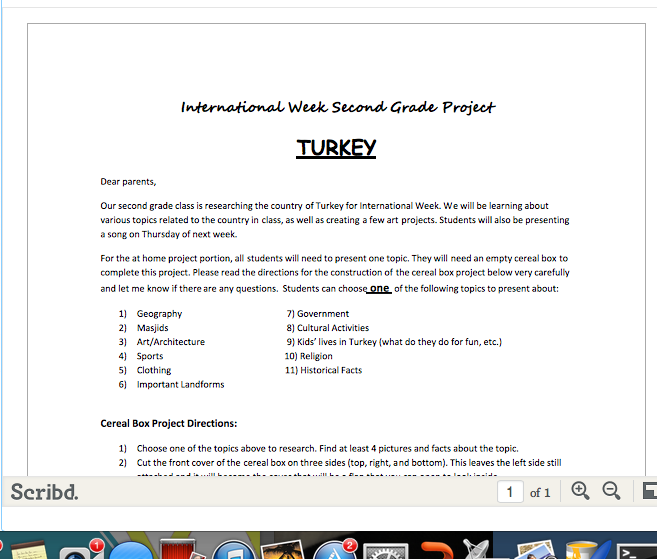 I've always done a Friday newsletter that gets sent home in the Friday Folder (includes graded homework and tests for the week). The newsletter recaps what we did during the week, upcoming tests or events, and any other information I'd like to convey. But besides this, I wanted to make sure that I didn't have the usual, "We didn't know this about our child or I didn't know that was coming up or due..." response that we all know we often get. In order to try my best to avoid that, I have several other ways to get the messages across. 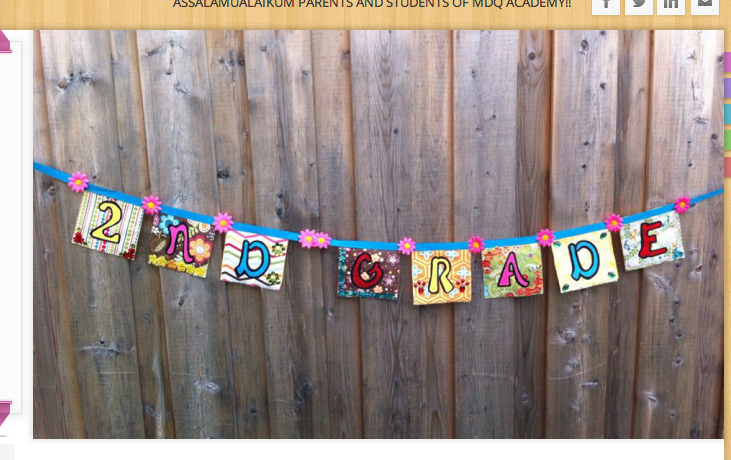 Over the summer, I took some time out to develop a Weebly.Com website. 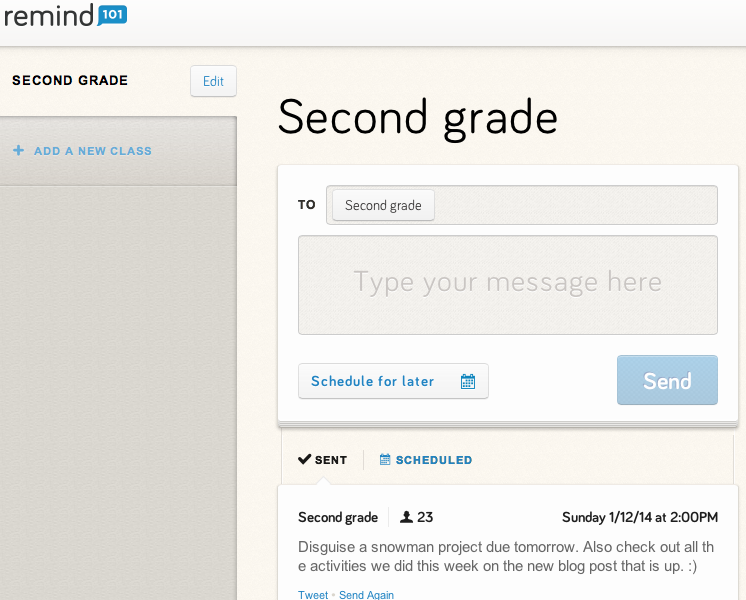 This website is basically designed for educators and non tech people like myself. The set up is extremely easy to follow and you can customize it just how you'd like. On there, I have a tab for a blog (where I put up pictures of the week - I get permission from parents first to include their child in the pictures). This allows parents to see all the learning activities that take place at school, which will contradict their child telling them they did "nothing," in school that week. Haha! The homework tab is where I list the homework for the week in case a student misses writing something in the planner, or if parents would just like to see what is coming up to prepare. 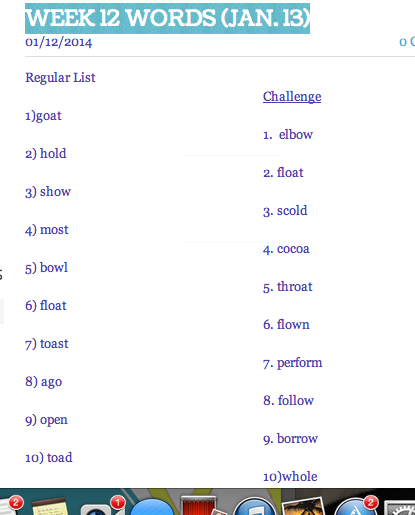 The spelling words tab lists the regular and challenge word lists for the week. I have an uploaded files area, where I can upload notices that I have also sent home. There are a few other special areas such as links to online versions of workbooks or practice websites. 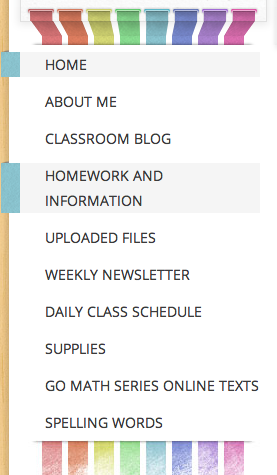 I think having a website has helped the parent-teacher communication gap. They know what is going on and can get any information that their child may have forgotten to tell or if they have misplaced something. I upload some files that I sent home copies for incase they get misplaced. 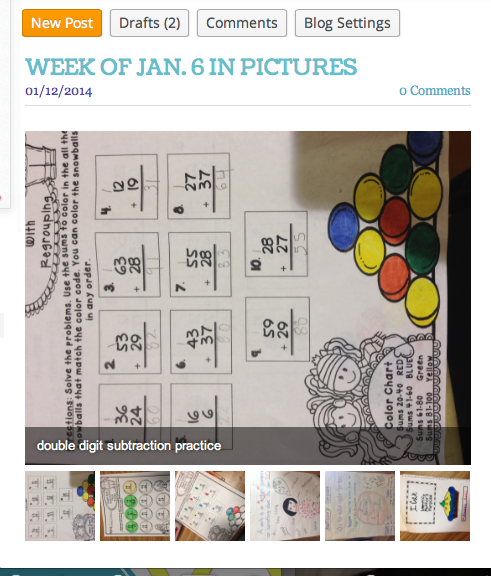 I upload pictures of the week in a slideshow under the blog category. 2) REMIND 101. I LOVE this free text message service app from Remind 101. You sign up and you get assigned a special texting number. 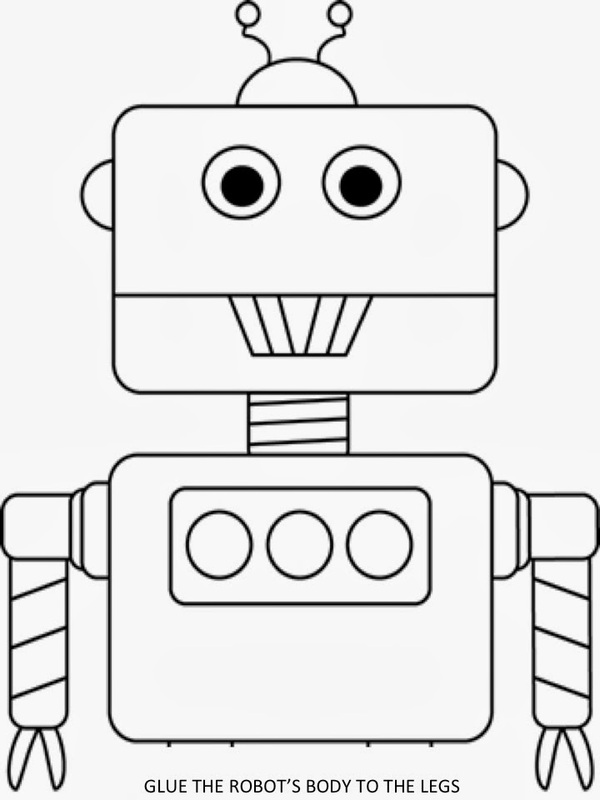 No one can text you back on it (the best part.. ;) ) I send out quick texts for reminders such as tests coming up, project due dates, or special messages to let them know the new blog post is up on our website so they can go take a look. Unfortunately, despite 1,203,503 reminders since the beginning of the year to get all parents to sign up, not everyone has. I have 20 out of 27 signed up, so I guess that's pretty good. 3) Class Dojo. 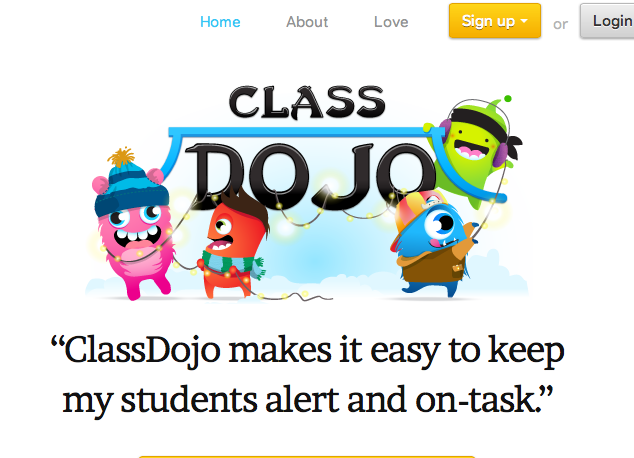 I started Class Dojo midway in the previous school year after I found out about it. Kids respond to it really well. You can customize the positive and negative behaviors you see in your students and give or take away points during the day. I always have my phone near by to get to the app and assign points. I made a reward chart for every 25 points. Every time they reach the milestone, they can choose from 2 or 3 prizes. As the levels go up, the prizes get better. Many of them are waiting for the 175 point value where they can choose to teach a subject for the day! Anyway, parents can keep up to date with their child's behavior because a report is sent to them through email or their Dojo account if they sign up. I don't always record every consequence or negative behavior, but do so when I see it happen more than once or twice in the same day. I like this because I have some very active parents who contact me when they see a certain negative behavior and they would like to know what it was specifically. It is quick information and everyone stays involved. It seems like a lot, but once you get used to doing it, it helps out tremendously on accountability on everyone's parts. *On a side note - I think my Mac book is wayyyy too overloaded from all the resource downloads. I decided to take it to the Apple store to see if they could figure out exactly why it's so slow because I'm hoping it's not from all the downloads! I COULDN'T stop downloading. Here is a picture of my husband and the cutest baby in the world. I was insane enough to think that if we just walked in with my computer to the Apple store Genius Bar, we would have to maybe wait like 2 or 3 minutes until someone got to us. Uh...there were 4 full tables of people waiting. That was so not happening. I'll have to go in another time. My week was jam packed with activities. I have an 80 minute ELA block, which really is too little. 80 minutes for reading, writing, grammar, spelling, centers, individual help, etc.? I feel like it's impossible to cover everything I need to. 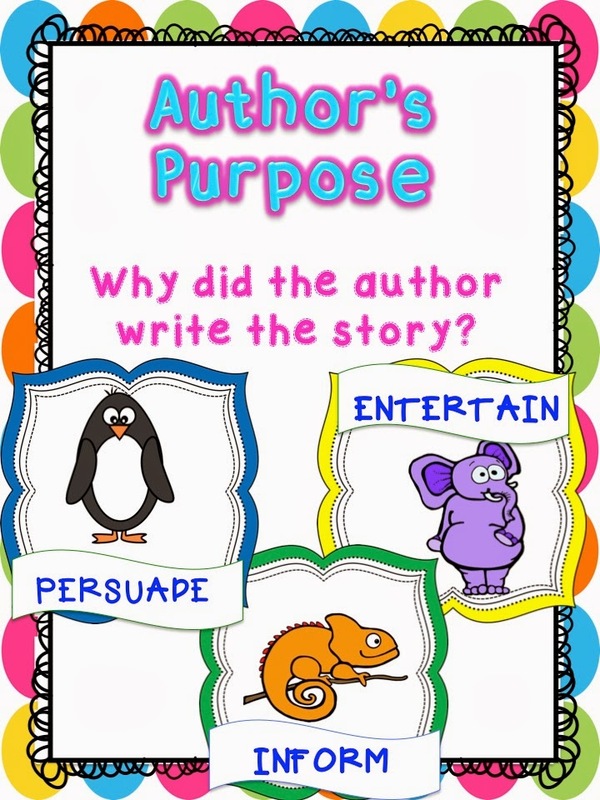 I started off the week reintroducing Author's Purpose. 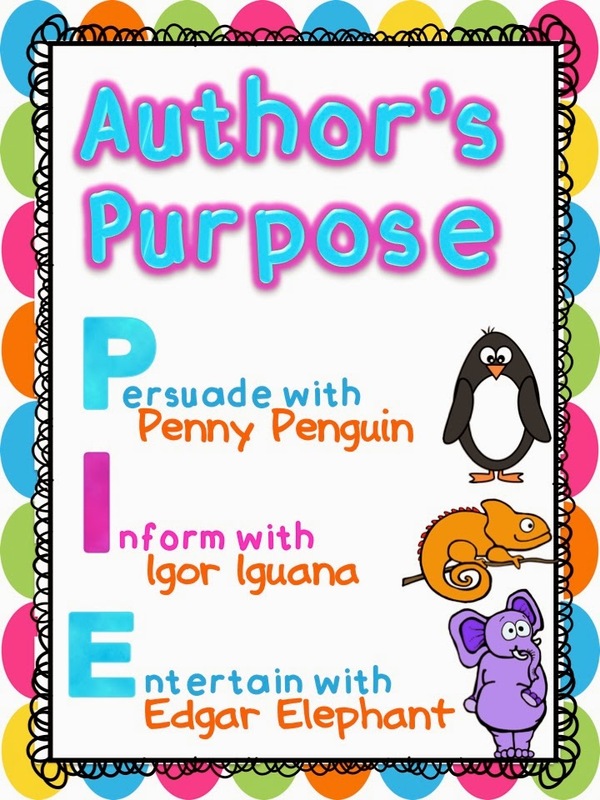 I made some Author's Purpose posters to shed light on the concept in another cute way. 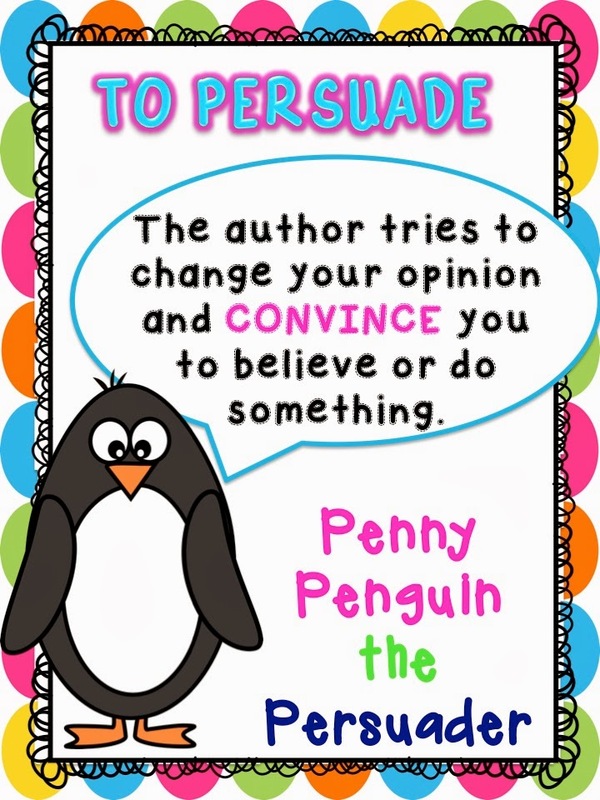 THESE FREE posters introduce Penny Penguin the Persuader, Igor Iguana the Informer, and Edgar Elephant the Entertainer. You can download them on TPT. For every comprehension skill that I do and have plans to use read alouds throughout the week to cover the skill for, I have the kids make little mini books. The front tells the skill that is being covered, the second page gives the definition, and then there are blank pages reserved for one book a day. 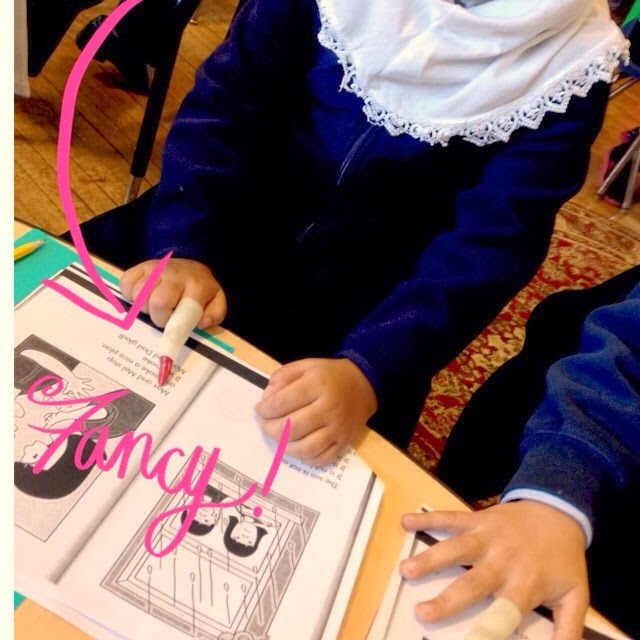 After hearing the read alouds, they go into the booklet, write the title and author and explain something related to the skill. This week they had to tell what the author's purpose was for each book and why. On to VERBS! This is my second favorite grammar skill to cover after adjectives. One main reason is because of an "Angry Verb," activity that we will be doing soon. A fun way to review this skill is by having students find one picture in the magazine of a person or animal that is doing something. 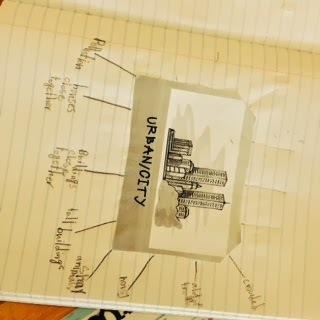 They glue that to the center of a paper and write 5 verbs around it to describe what is happening or what could happen with the characters in the picture. Then, they use those words to write a story about the picture on the bottom. 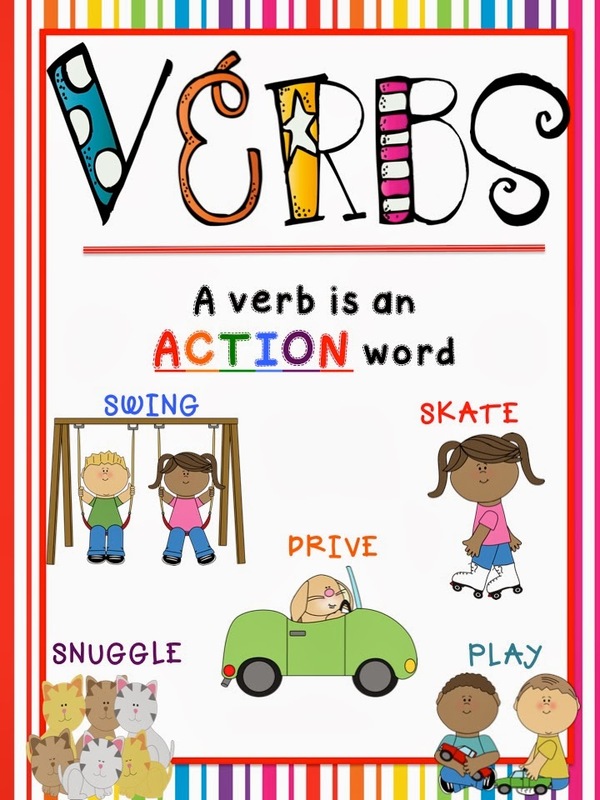 Click on the verb poster picture below to go to TPT for the template. 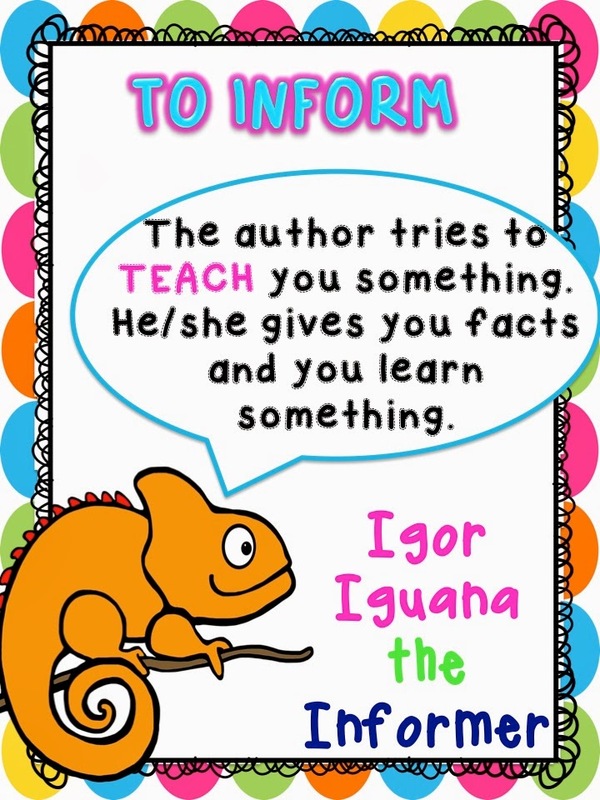 It includes a poster on verbs as well. Don 't judge my anchor charts! I know you're judging! 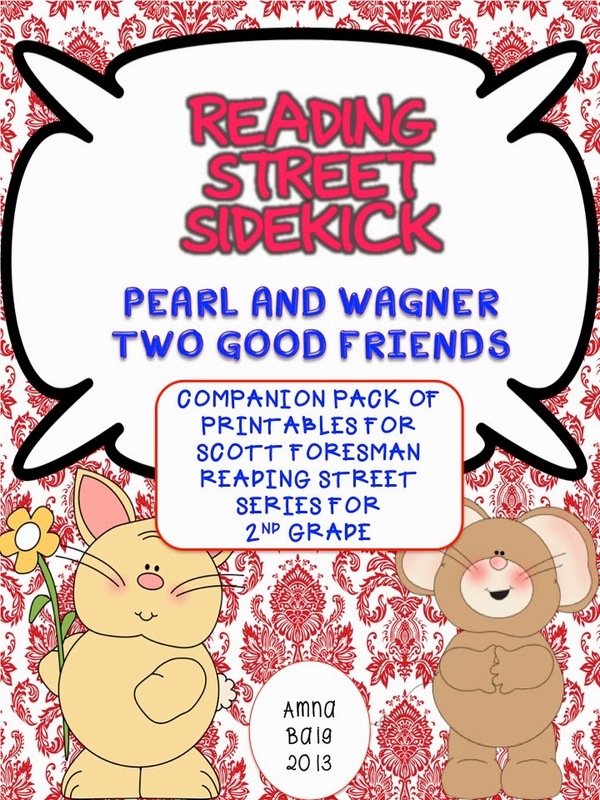 I was also able to use activities from a pack I made that corresponds to the Reading Street Series by Scott Foresman. 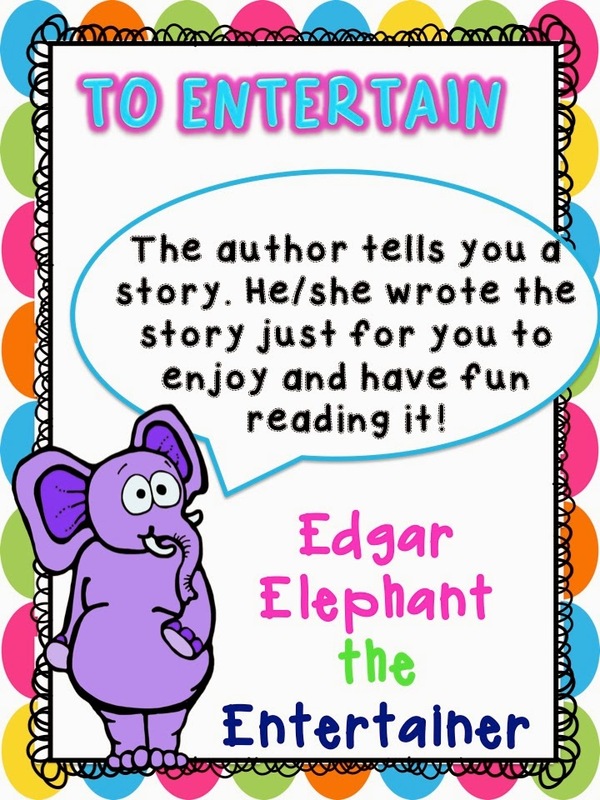 It is made up of "sidekick," activities to cover the skills that deal with the story for the week. 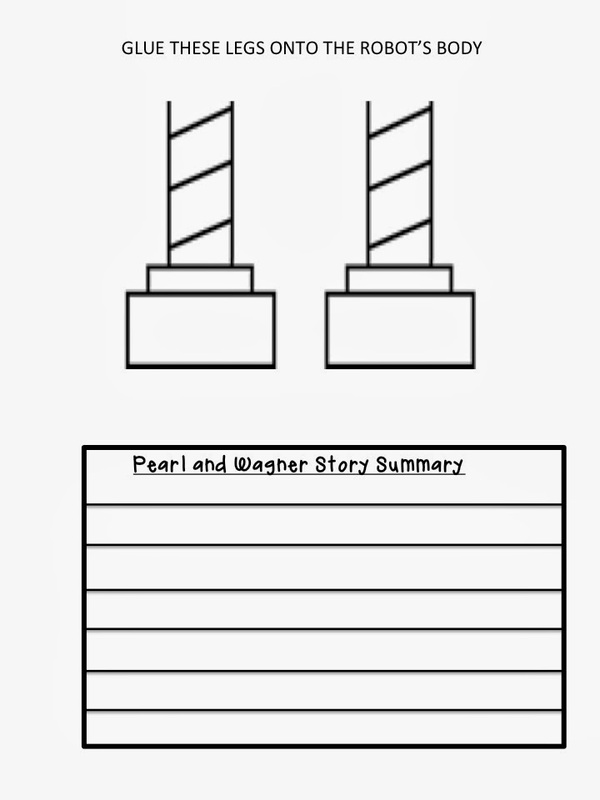 This week was "Pearl and Wagner." 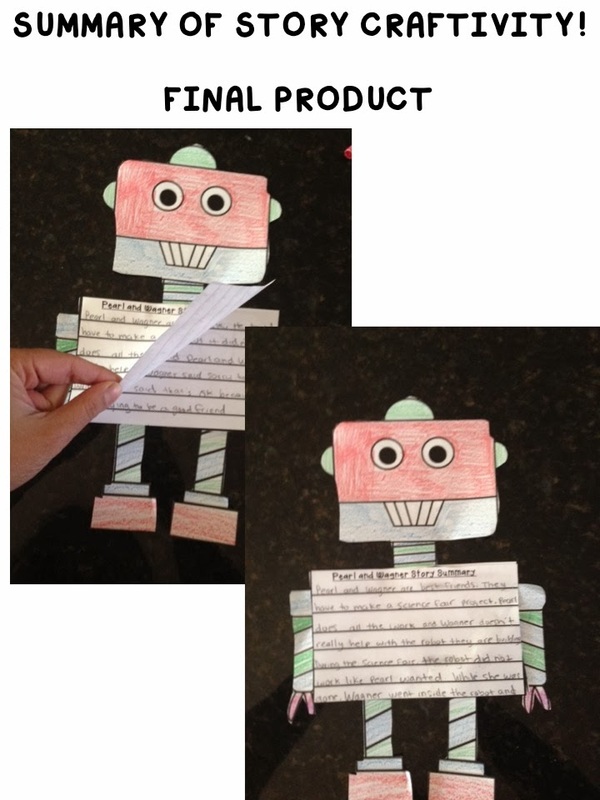 The students wrote the summary of the story and attached it to a robot craft (a character in the story). If you want to check that out, click on the picture below. I think I may do this for each story. This is the first one I've done and it's helped out because I really find the workbook pages for the skills pretty dull and don't do them if I can find an alternative. "More on top, no need to stop. More on the floor, go next door and get ten more." This has helped them TREMENDOUSLY to know when and when not to regroup. 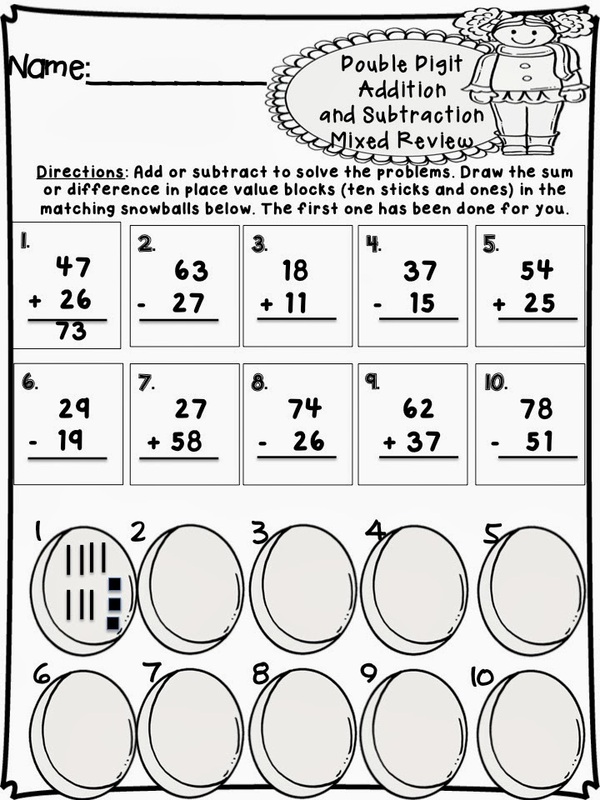 I used a bunch of printables from my Snowtastic Double Digit Addition and Subtraction Review pack that spirals some older concepts like odd and even and place value. And even though they can find double digit addition and subtraction tedious, I made sure they loved it at the end by having a "SNOWBALL FIGHT," indoors! I got the idea from someone I saw on Instagram, (Gosh, I love that APP. I've taken so many screen shots of activities I want to do; they fill up more space on my phone than pictures of my own kids). Anywayyy, students wrote a double digit subtraction fact on a white piece of paper and crumpled it up. Then they threw it around the room, picked up someone else's and solved the problem on a different sheet of paper. We continued this multiple times, so they kept on getting other problems to solve. They had a blast, although it WAS chaos. ANOTHER freebie for you! To review environments and habitats, I had the students do a project where they chose an environment such as a desert or rainforest. They drew what it would look like on a long construction paper. 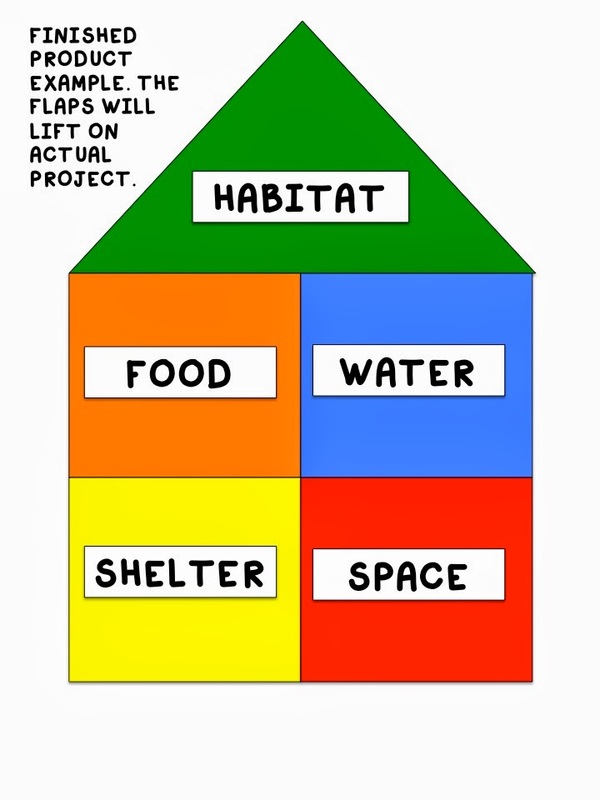 Then they put together the house template on it to understand what a habitat is. I used a "house," to represent the needs that need to be met inside a habitat which is like a home. They drew an animal that belongs in the environment and under the flaps of the house panels, they wrote or drew about how each of the needs are met for that animal. Click on the picture for your free template of the house and labels. As I'm writing this and thinking this post is soooo long, I am also kind of happy that I got so much done this week! 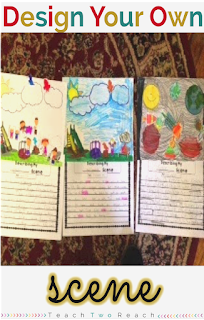 We were able to do my New Year's Writing and Craft. 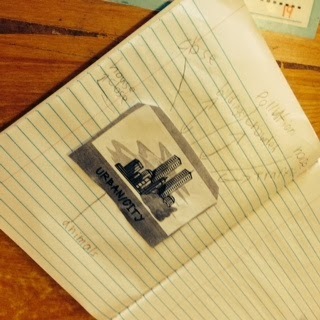 They brainstormed and wrote about 3 goals they have for the new year and made the cute craft below. 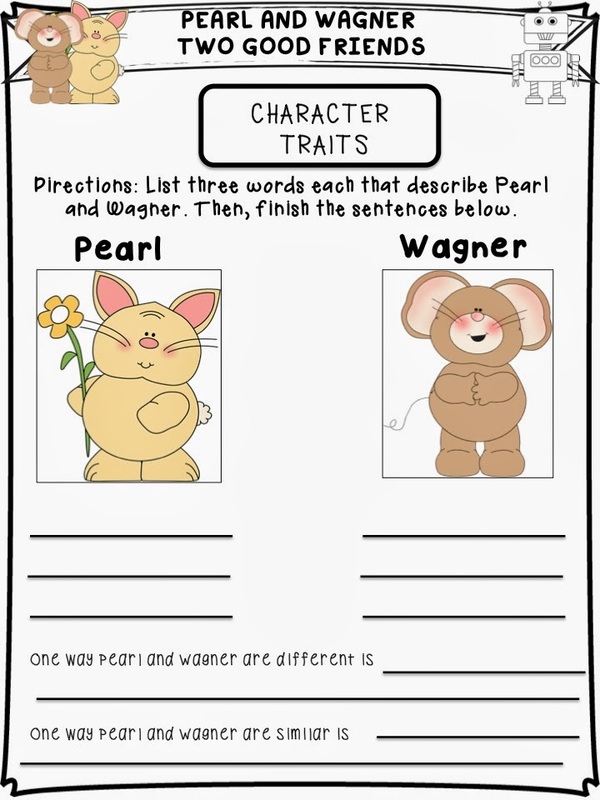 Click on the picture to get to the writing and craft template on TPT. It's only $1.00! But the best part of the week was the writing and craft they did associated with "Snowmen at Night." 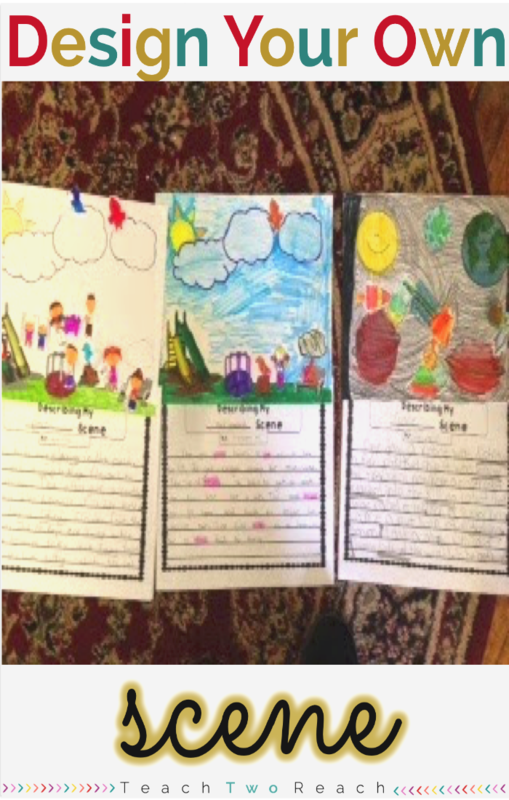 After listening to the story, they had to come up with 4 things they believe snowmen do at night, and then use those ideas to construct a paragraph using transition and sequence words. Afterwards, they made the cute snowman craft I see all over Pinterest. During their rough draft process, I had to send many students back for revising. A lot of kids will just list details and not explain them. I try to tell them that they have to give me picture sentences rather than telling sentences. A telling sentence just states what is happening, such as, "The snowmen had a snowball fight." 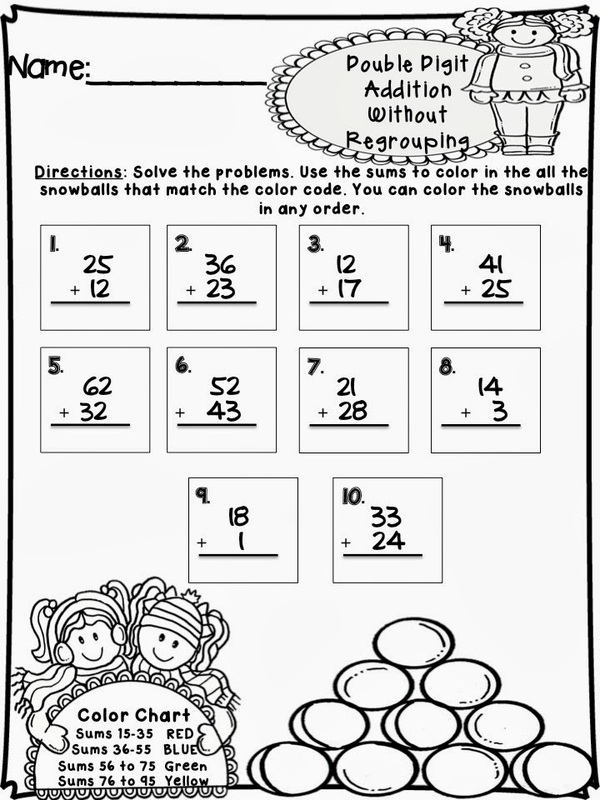 A picture sentence SHOWS what is happening, such as, "The snowmen grabbed snow from their bodies, rolled it into a snowball using their stick hands, and aimed at each other's round bellies." Some of them really have the hang of it, but some of these kids need to constantly be pushed to give more. 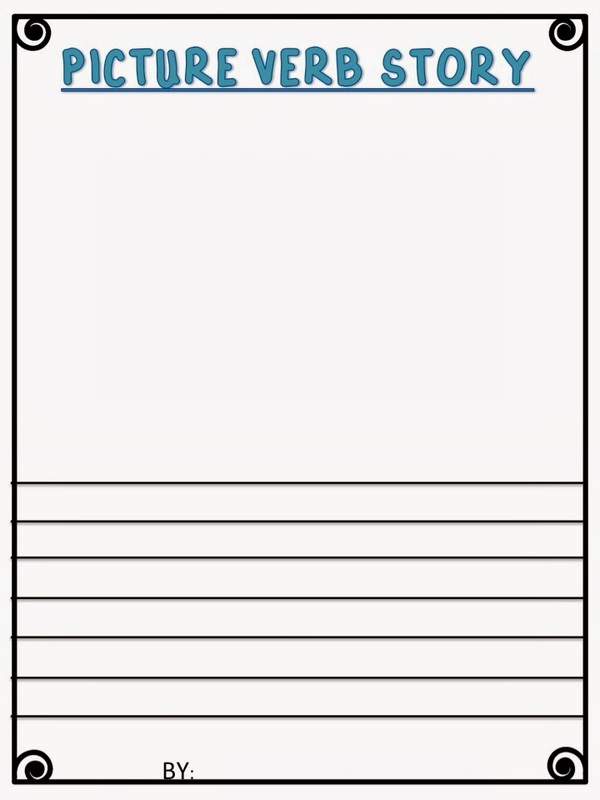 HERE is the FREE template to the Snowmen at Night Writing paper! So as I'm finishing up this blog post, I just noticed my baby took everything out of my kitchen cabinet and is lining it all up. Time to go!